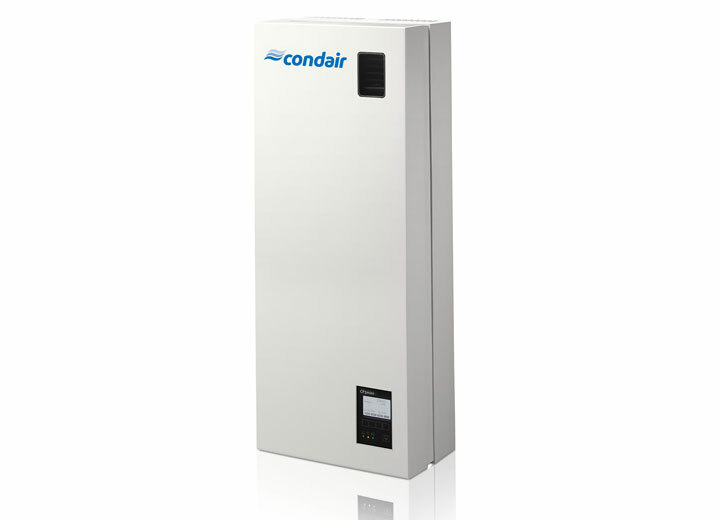 The Condair CP3 Mini will provide up to 4kg/hr of steam either directly to a room or into an air handling unit. 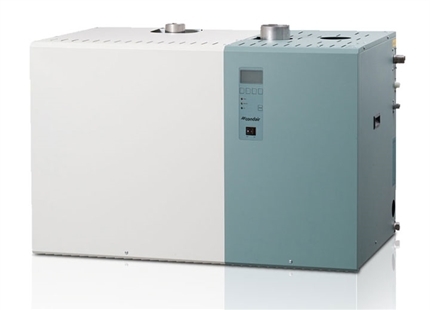 It has a very attractive yet inconspicuous design with concealed rear connections for power and water. 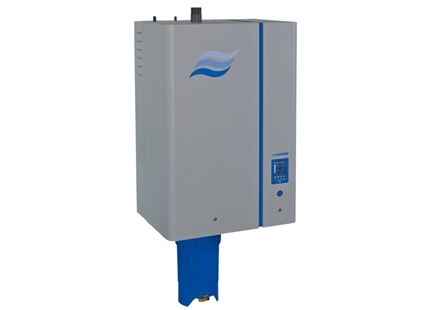 This low capacity steam humidifier can be serviced without needing to call a technician. 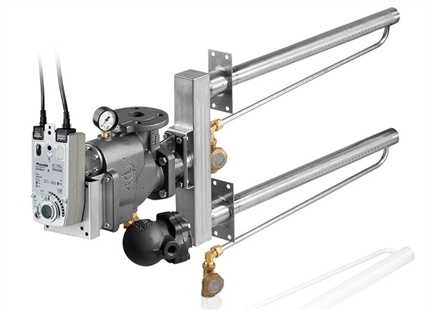 All electronics and current carrying parts are protected against water splashes and inadvertent contact allowing cylinders to be changed safely. 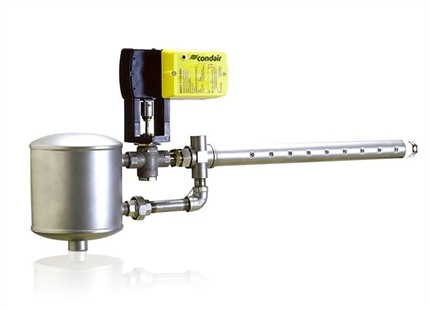 A large LCD display provides information on all operating parameters and the unit can be controlled with the integrated keypad. 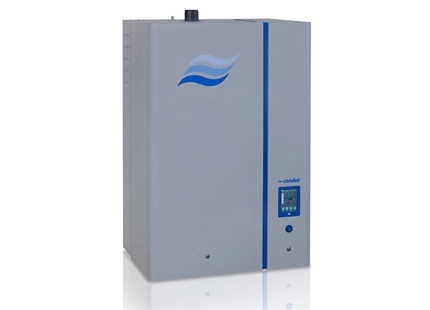 An optional battery-powered humidity sensor can be located in the room and transmits a signal back to the humidifier to control output to the desired level. 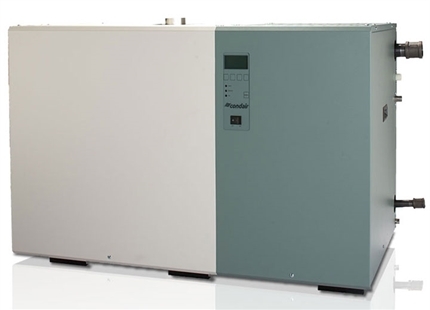 The Condair CP3 Mini operates on mains water and is ideal for both homes and offices.